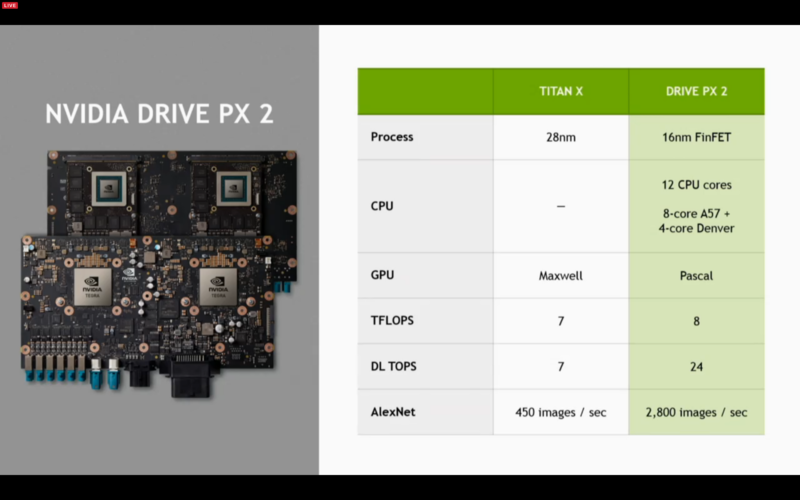 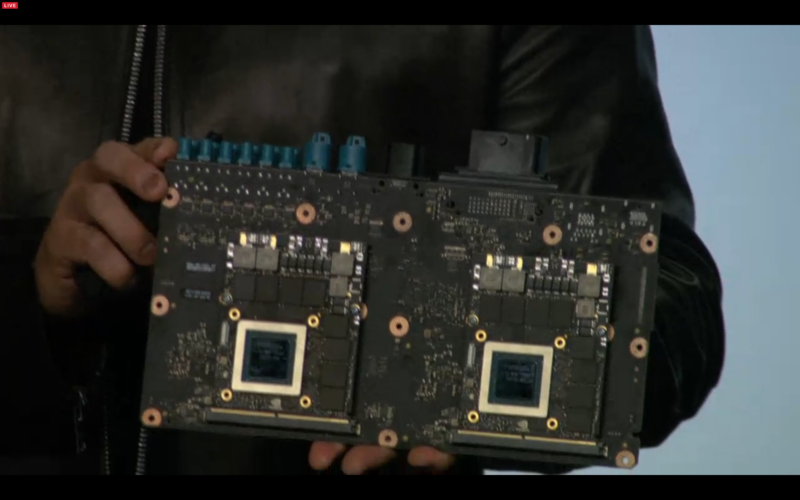 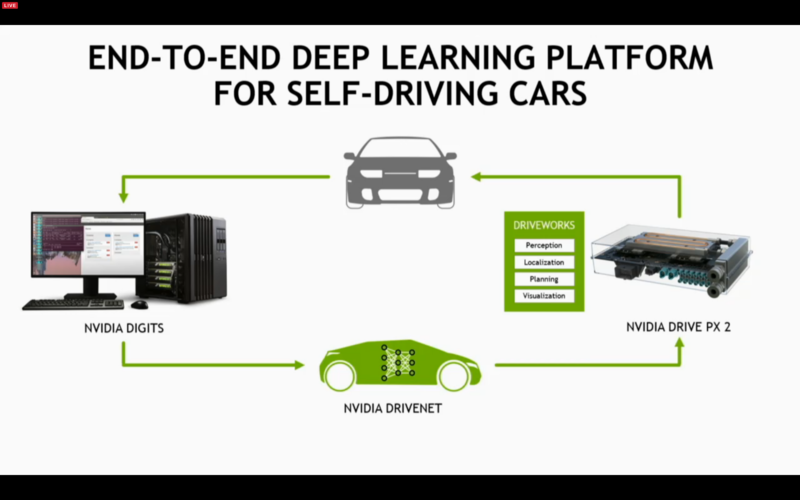 Nvidia is kicking off CES 2016 with a press conference expected to focus on automotive and graphics technology. 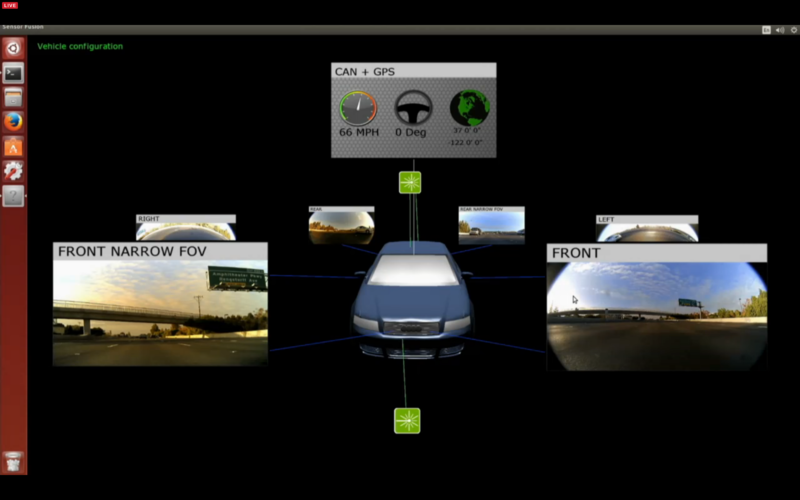 Focusing on object recognition now, but will move to recognizing circumstances in the future. 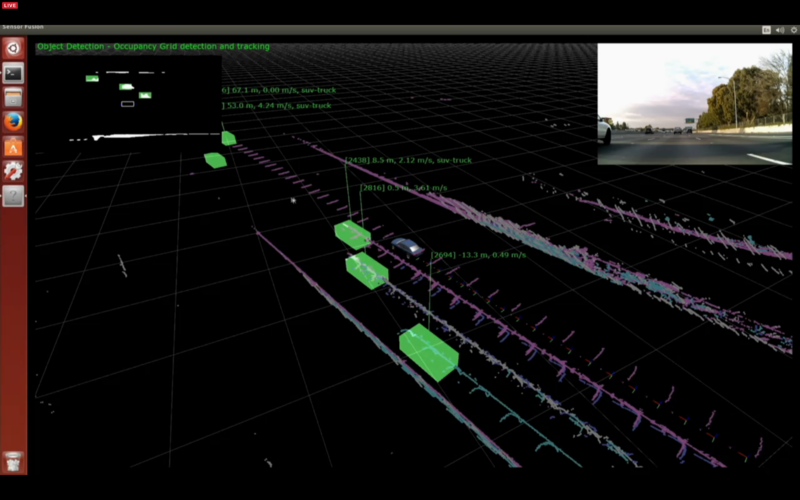 This demo shows them processing recordings of this sensor data live. 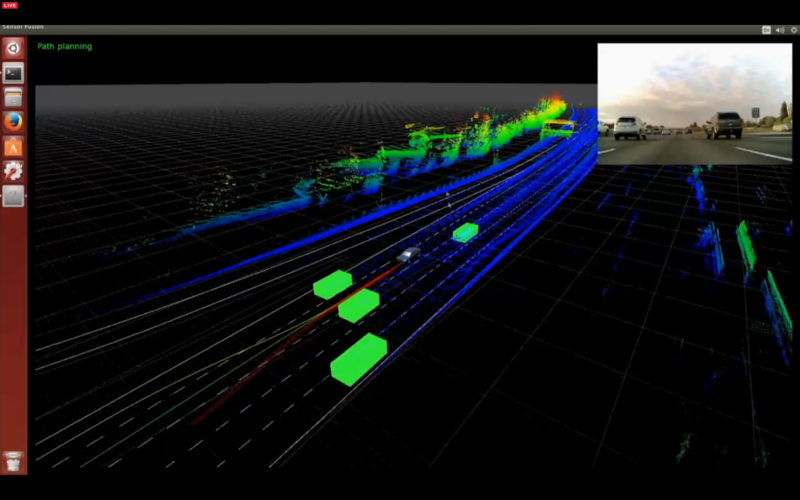 Recorded on Highway 101 near Nvidia headquarters in Santa Clara, California. 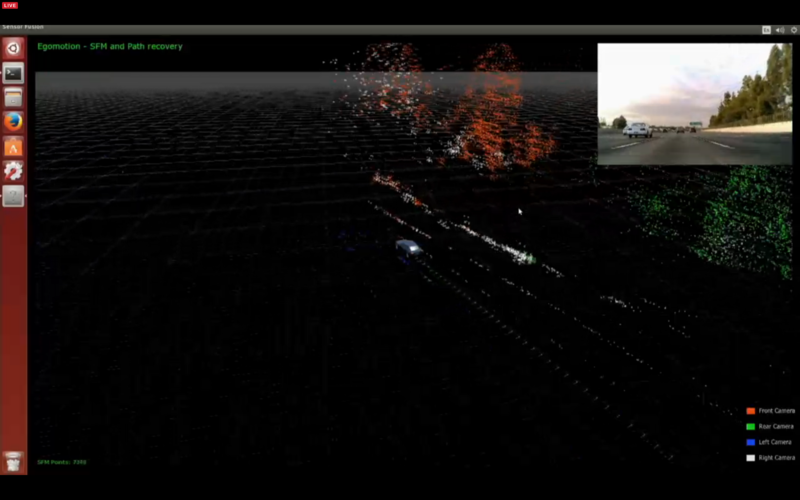 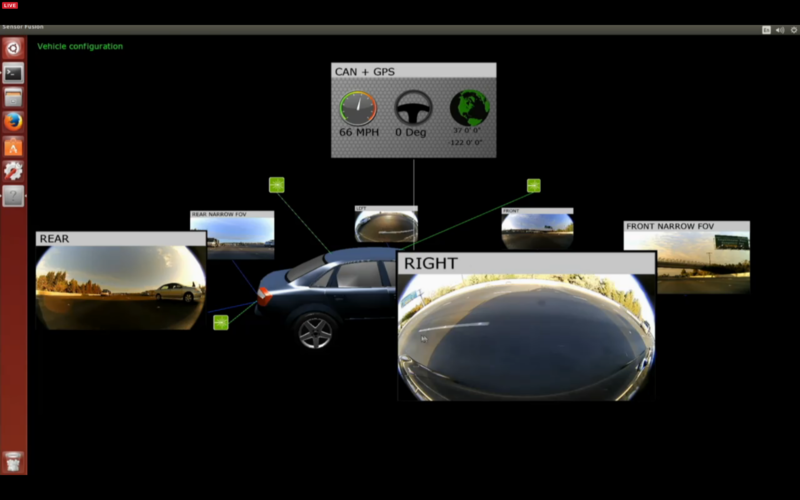 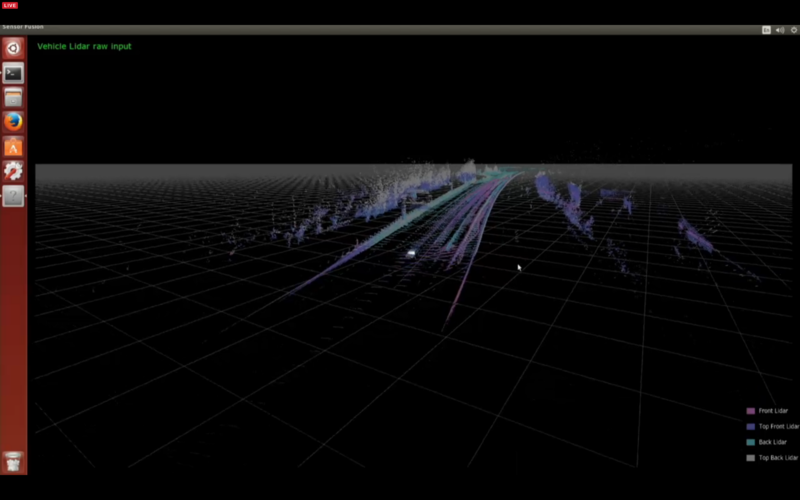 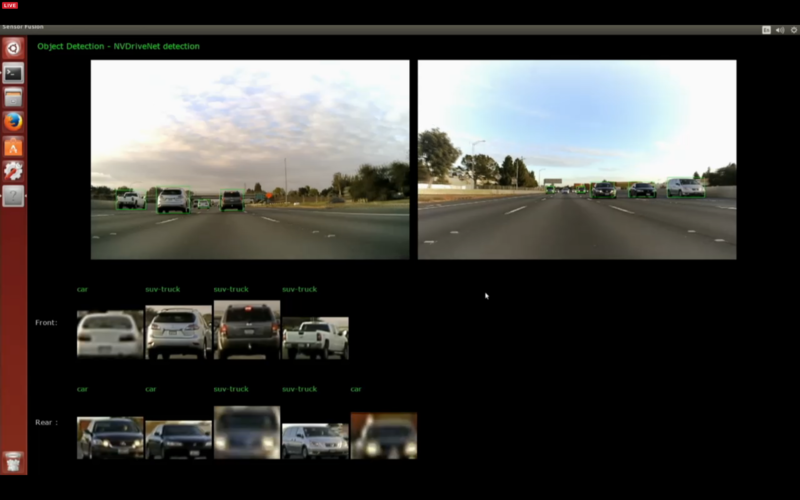 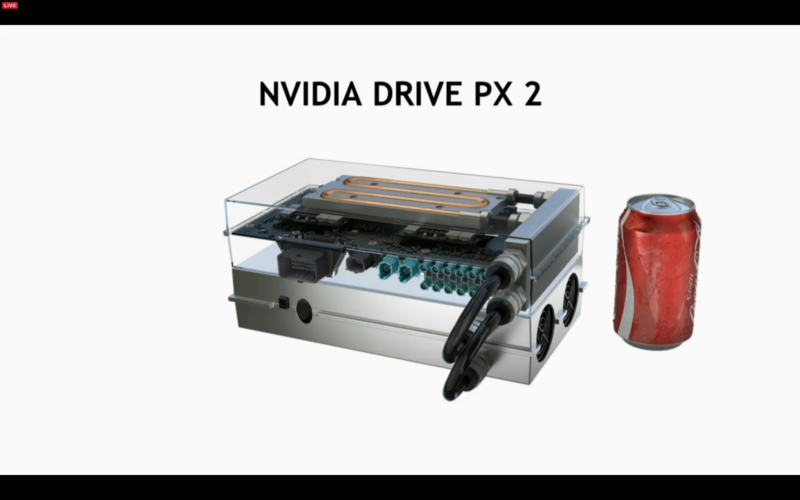 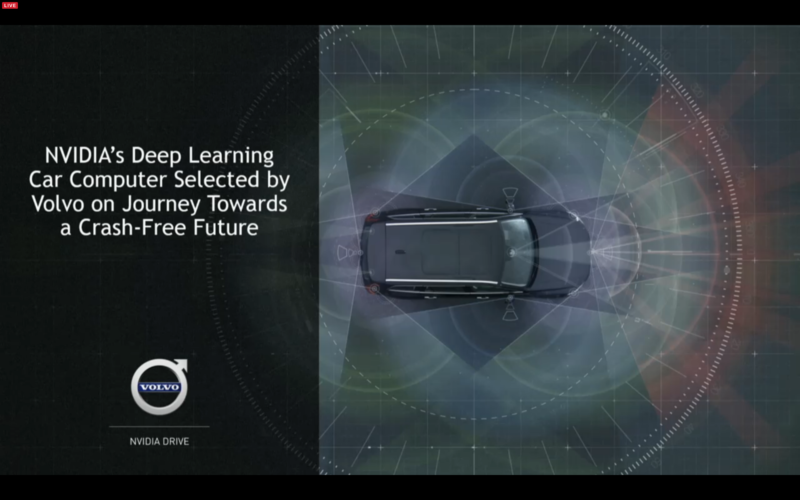 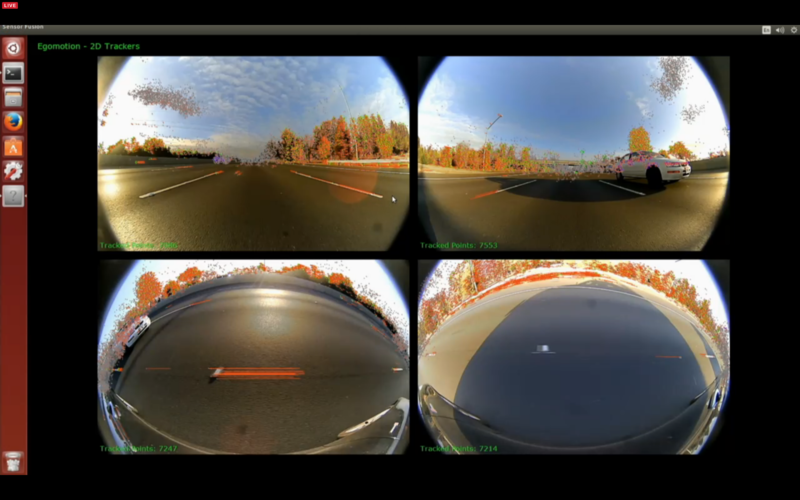 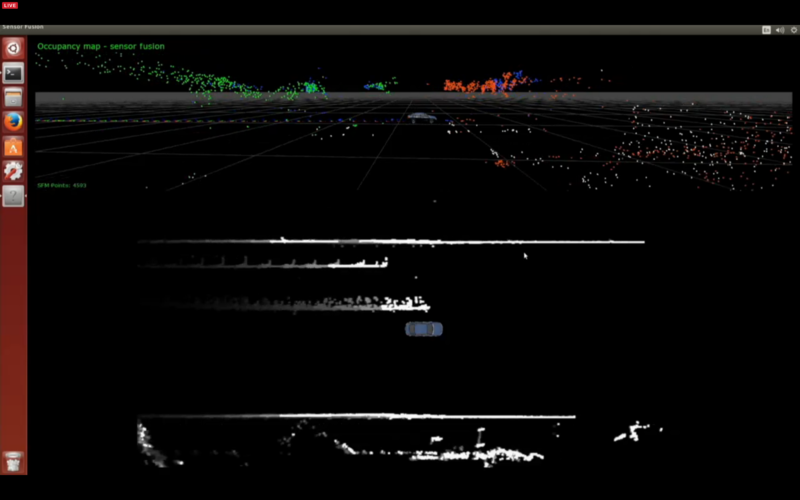 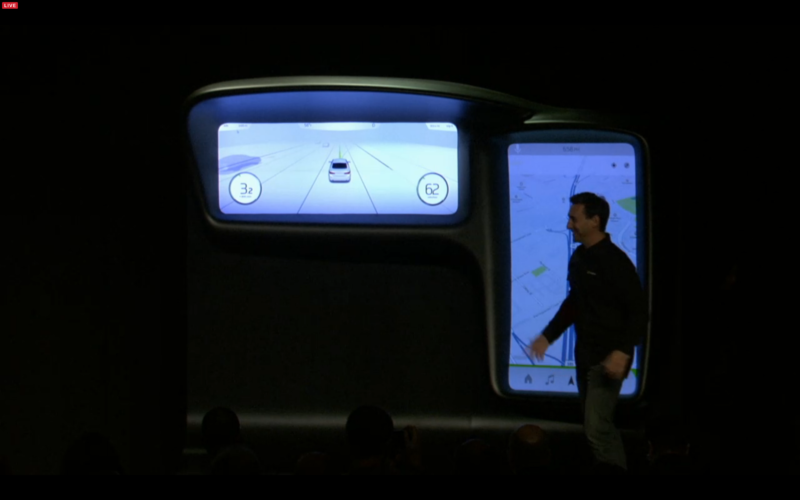 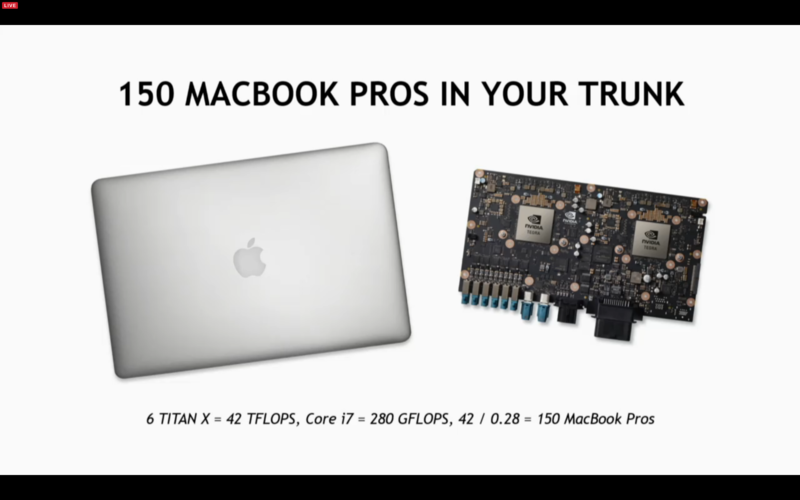 What's cool is that these demos are based on real-world data gathered by Nvidia on the roads in Santa Clara. 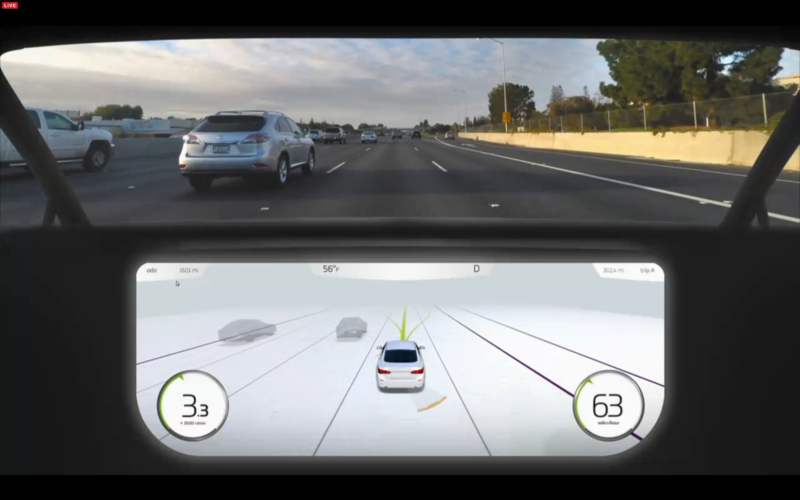 Jen-Hsun pointed out that GPS isn't good enough for self-driving, that you also need this sensor data processed in real-time. 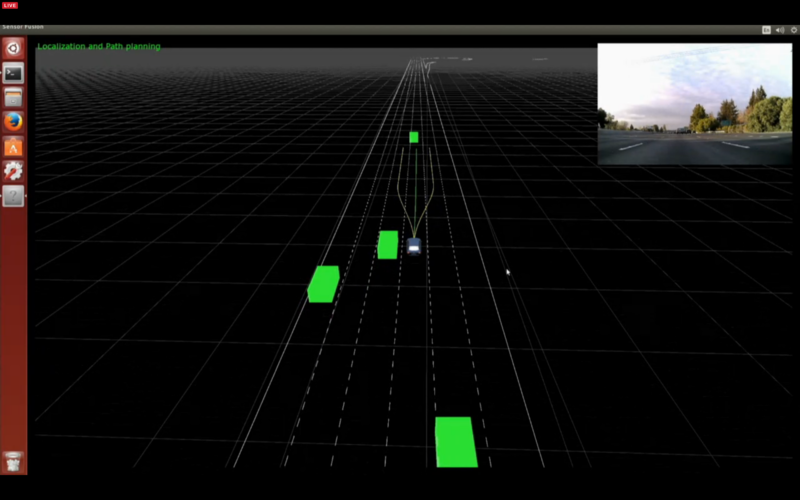 How does a human driver develop confidence about the car's self-driving capabilities.